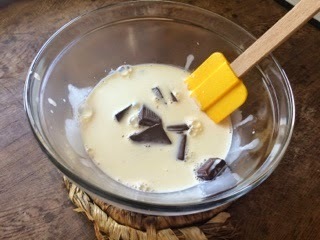 This basic ganache recipe is simple to make. 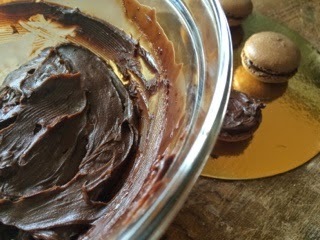 or you can spread your bread with this ganache! 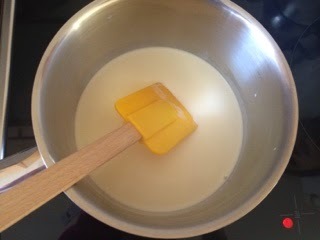 Place the cream in a small saucepan over medium heat and bring to a simmer. 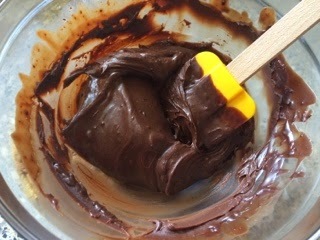 Place a piece of plastic wrap on the surface of the ganache to stop a sugar crust forming and leave at room temperature. 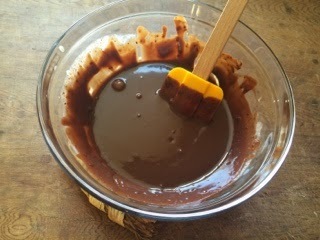 Ganache can be kept refrigerated for a couple of weeks and can be frozen for up to three months.